SoftPLC - Prodotti Hardware . 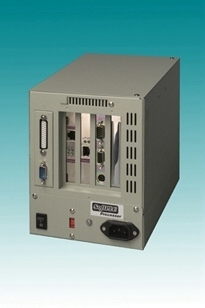 Processori SoftPLC Industrial PC's with SoftPLC software pre-installed and configured for your application needs. A range of enclosures and CPU's are offered. Many options (such as I/O interface cards, additional ports, & more) are also available, and will be installed prior to shipment. Tealware This complete line of low-cost open architecture CPU's & I/O includes SoftPLC software pre-installed. I/O Interface Cards Every control system needs I/O - these cards work with SoftPLC's included I/O drivers. If you purchase your SoftPLC system from us, we also will install and configure the I/O card for you. Other Options UPS (strongly recommended), extra memory, CPU upgrades, etc.